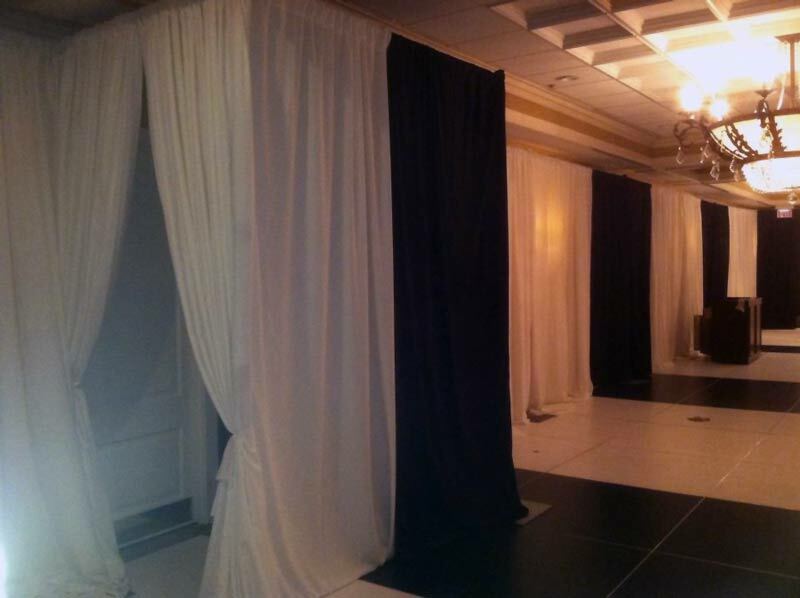 Event Curtains and Drapes is an excellent way to add a professional and sophisticated feel to your venue. 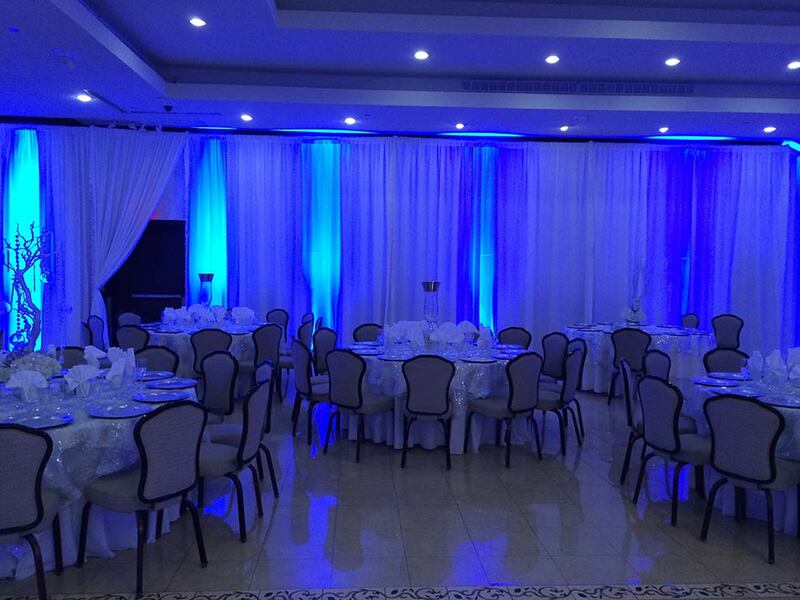 Whether it is a corporate or social event such as a wedding, bar/bat mitzvah, sweet sixteen or another personal event, our pipe & drapes can be customized to match your corporate event of any size. Our sewing department can customize the size & color of the drape to suit your needs. Tower Productions has event curtains and drapes (Pipe and Drape) available in multiple colors and sizes, using on the best quality drape. 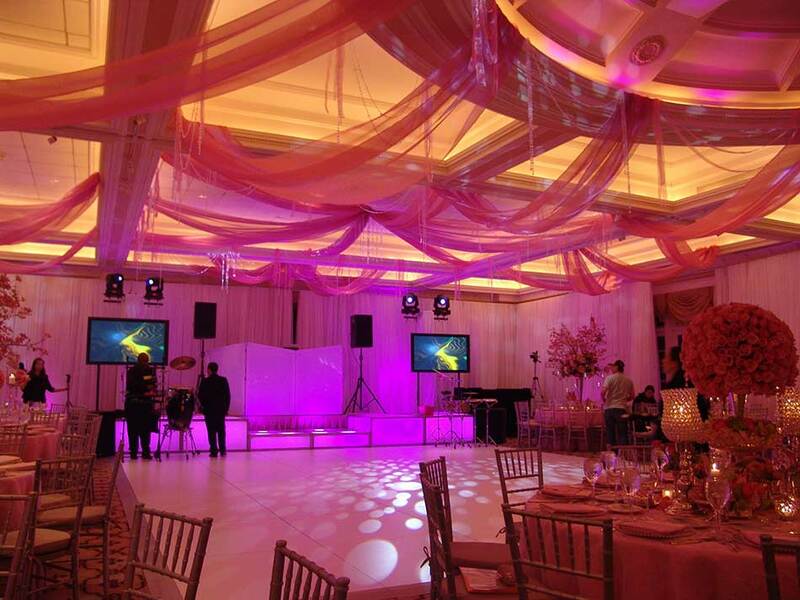 We’re a leading provider of theatrical quality drape geared towards the event industry. Pipe and events curtains and Drapes can have a tailored and pleated look for a more stately atmosphere, or have a long flowing look. The chair covers can be made in any color and match perfectly to the drapes at your party. 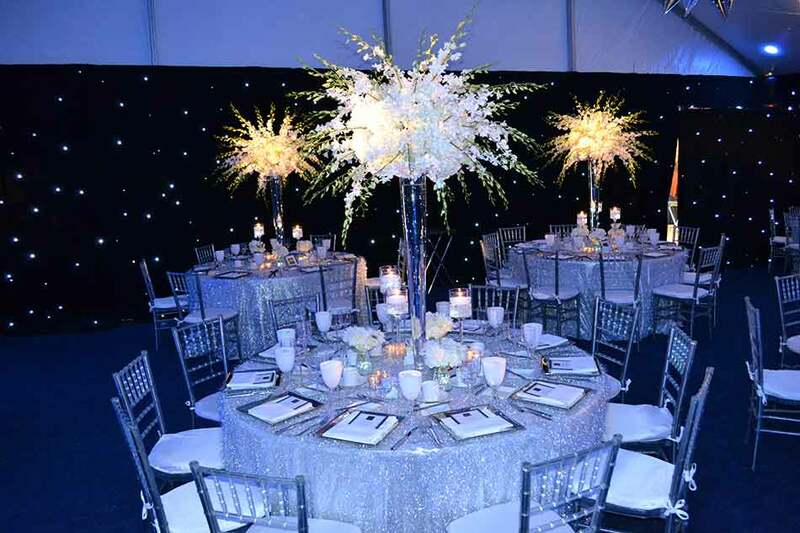 There are multiple approaches to how your Pipe and Drape will enhance your wedding, sweet sixteen, bat mitzvah or bar mitzvah. For example, a wedding reception in an outside tent that is lined with event curtains and drapes portrays a luxurious dining area or an open setting can turn into a wondrous maze of privacy booths and conversation areas. 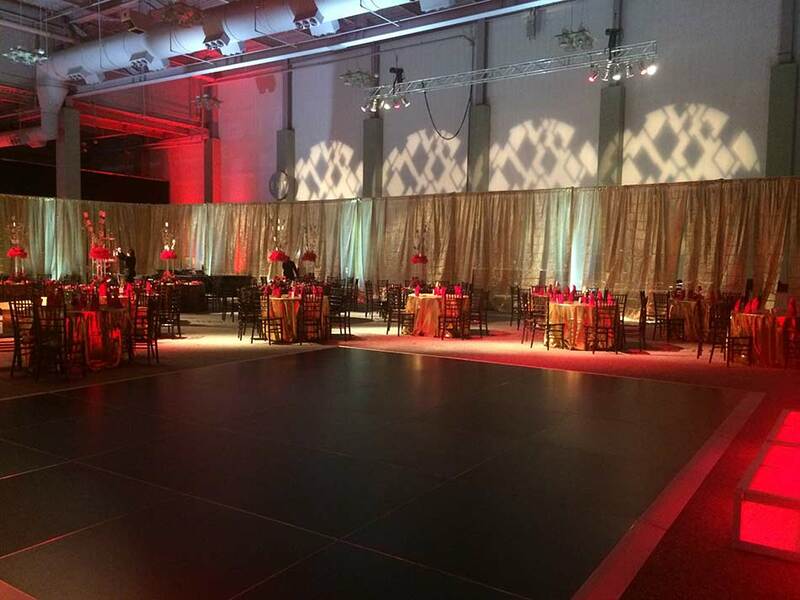 Give your event an elegant, professional look with Pipe and Drape from Tower Productions. Let us know the size and color, where, when and your decor needs will be fulfilled with professional setup and removal of curtains and drapes system. 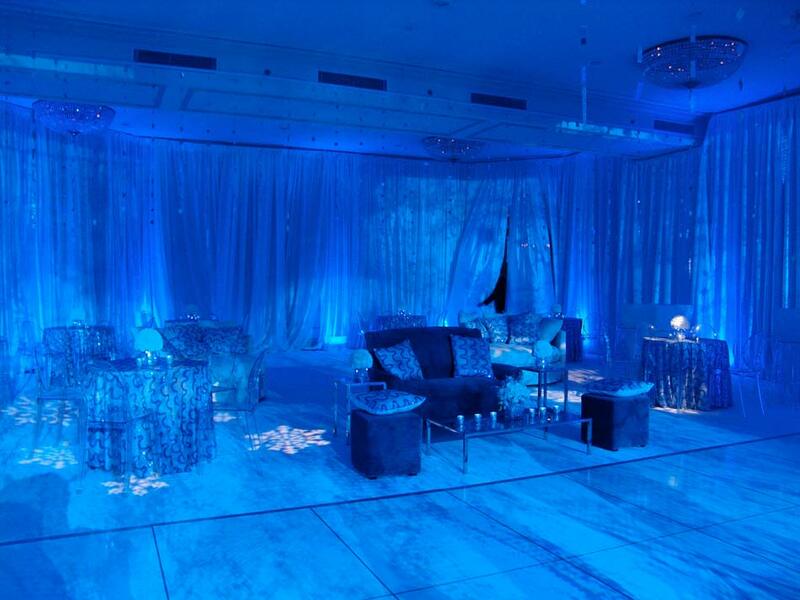 Lighting can be used behind the Pipe and Drape for a dramatic effect. 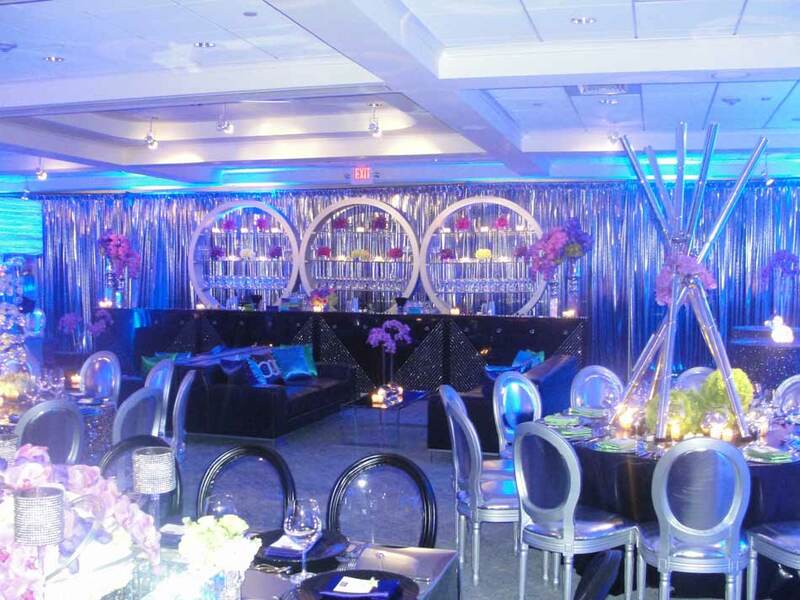 The colors can match your Corporate Event, Launch Party, Gala, Wedding, Sweet Sixteen, Bar / Bat Mitzvah, or it can change throughout your event. 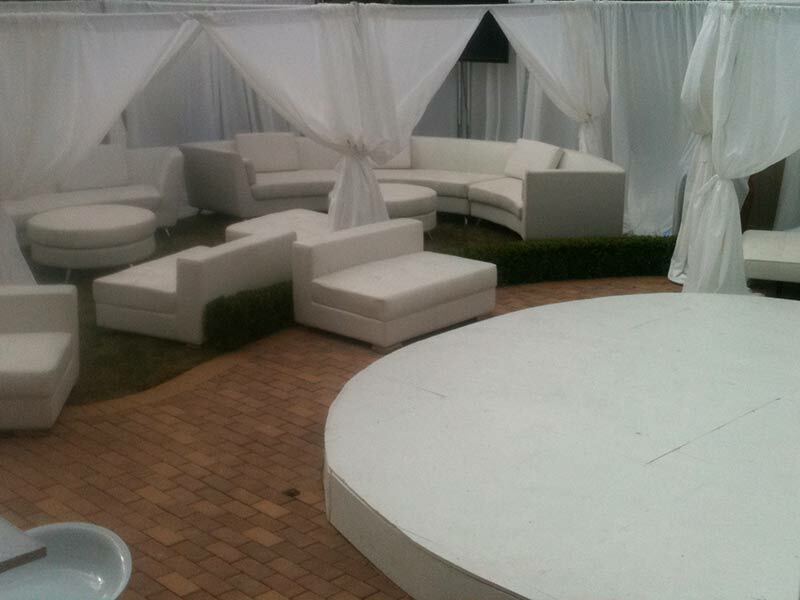 The creative team and technical experts of Tower Productions are here to assist you as you plan your party. Party guests will step into a plush environment with Ceiling Treatments as the icing on the cake. 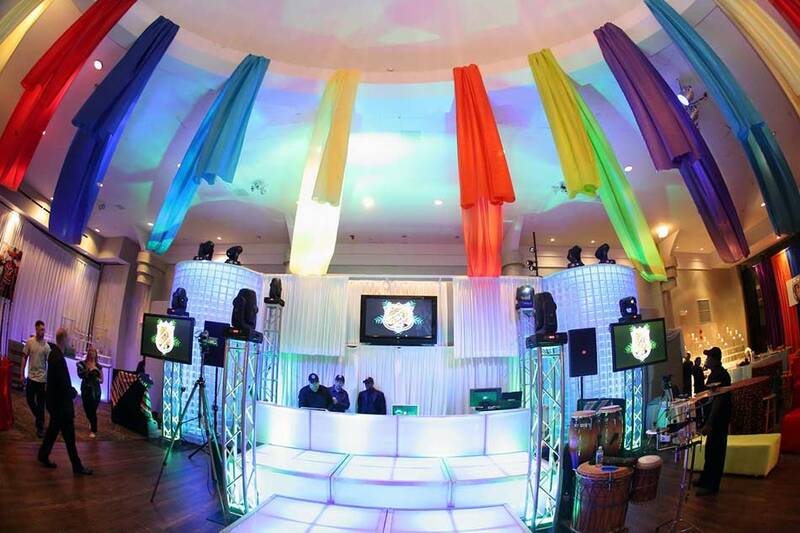 There are endless options when it comes to Pipe and Drape and Ceiling Treatments for your Corporate Events, Launch Parties, Galas,Bar / Bat Mitzvahs, or Sweet Sixteens. 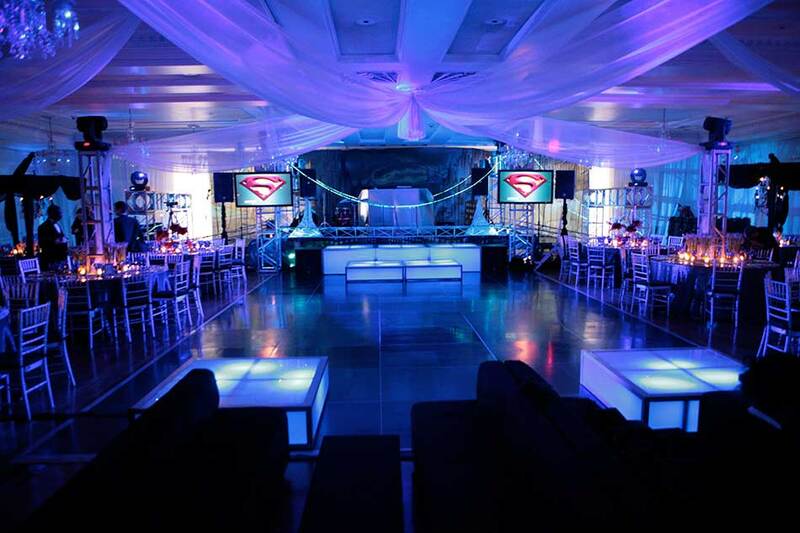 Turn an ordinary room into a fantasy creation at your event with the party planners of Tower Productions.